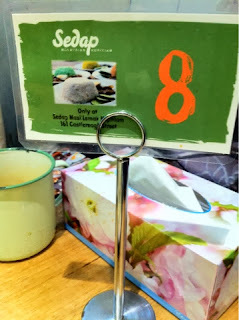 So today I joined three other Malaysians for a Meetup.com makan outing at this place called Sedap. It is a diner located at Regent Place. It was a little hard for me to find this place as it is a new dining area that cropped up within the last two years since I left Sydney, so was my first visit there. Table No.8. Lucky number, wor!! 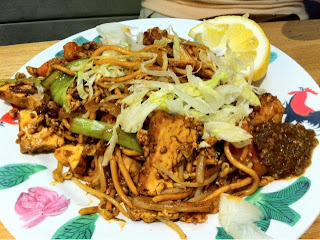 Some kind of mee goreng. 12Aud. Penang Wat Tan Hor 12Aud. I was recommended this dish. 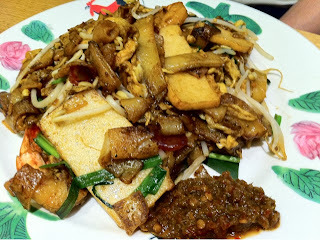 If I was craving for anything Malaysian, it would be this dish as its among the hardest dish most Malaysians can make. It needs a fiery gas stove and 'wok hei' in order to get that nice fried flat noodles burned to the right consistency. This place sold a lot of Malaysian dishes like curry laksa, Hainanese chicken rice, as well as other typical Malaysian hawker dishes. 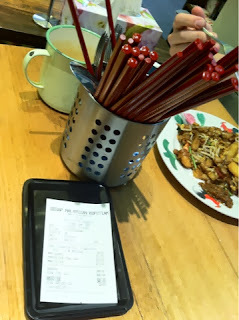 Our bill for a table of three. The customer profiles seemed to be varied and international but majority was Asian ethnicity. It always seems to be the case that in most dineries in Sydney, the staff employed are normally from the country where the cuisine originated from. So I was surprised that the few staff that were serving were not Malaysian. I guess that for me, being Malaysian, I feel a lot more at home when I enter a diner in a foreign country and there is a person with a Malaysian accent serving me. Considering the price of the dish, the Wat Tan Hor that I had ordered was just 'mah mah tei' for me. The noodles could do with more of the 'wok hei' stirfry and the gravy could taste fuller with more flavour. 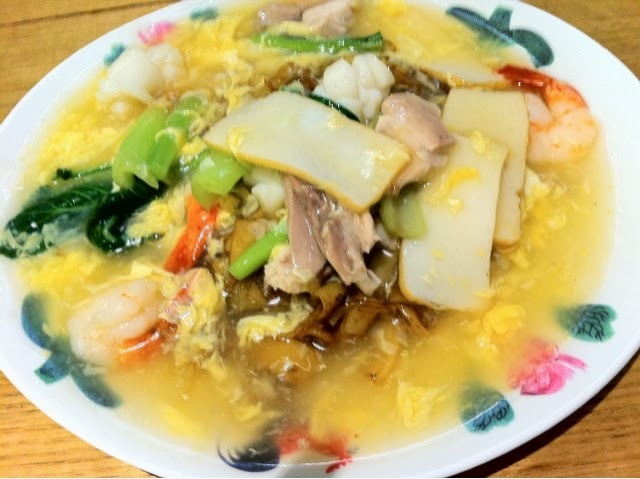 The taste of this dish is passable but has yet to meet the standard of the good 'tai chows' at home. I think that this restaurant may have been too ambitious in providing such an extensive menu. The space was also a little crowded and a bit uncomfortable to sit. Anyways, I've just been told by other Malaysians that Alice's Makan is just across the street from them... May just go and check them out instead.